Penn Valley Park is not achieving its full potential today, but several specific improvements can enhance its use and better connect its neighbors. The following proposals represent a collaborative effort by designers/Downtown residents Arpit Balhara, Jihee Chung, Alyssa Parsons, and Thomas Morefield. Just a mile from the heart of Kansas City’s central business district, Penn Valley Park is bounded by centers of activity including Union Station, Crown Center, Penn Valley Community College, and the Crossroads Arts District. Within the park, popular visitor destinations like Liberty Memorial and the Off-Broadway Theater mix with all kinds of neighborhood amenities, including a skate park, an off-leash dog park, ballfields, a lake for fishing, and more. The setting for all of these attractions combines amazing skyline views, tranquil nature, and a rich historical legacy as a key jewel in Kessler’s Boulevard system. Penn Valley Park has the assets, location, and history to be a signature urban park with a national profile, but today it is not achieving its full potential. 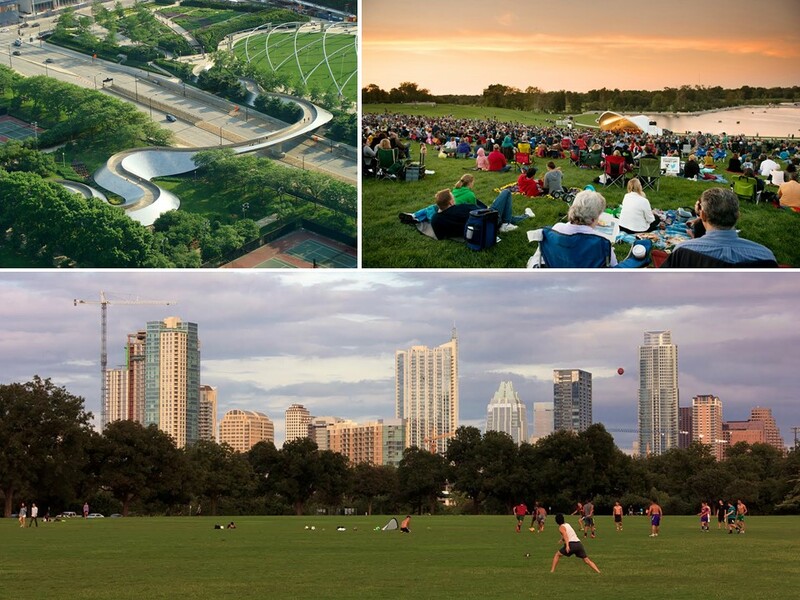 Millennium Park in Chicago, Forest Park in St. Louis, Butler and Zilker Parks in Austin, and other examples in cities across the country demonstrate how the right mix of urban setting, natural assets, and unique attractions can create a Downtown park that is more than the sum of its parts, and a destination in its own right. Today, despite its many advantages, Penn Valley Park functions more as a void in the urban landscape than a magnet. The reasons are complex, but two key challenges rise to the top: poor access to the park, and poor connectivity within the park. Penn Valley Park has activity all around its edges, but in most places it is impossible for adjacent uses to directly engage the park. Highways and trafficways create barriers around and through the park. A lack of sidewalks and crosswalks (especially in proximity to dense adjacent uses) makes these barriers even more difficult to overcome. For example, Crown Center residents are closer than anyone to Liberty Memorial – just over 400 feet in a straight line. But the east side of Main Street has no sidewalks (it’s mostly a steep slope with vegetation and a retaining wall very close to the road). This section is notable for having the longest distance between crossings – more than 2000 feet – of anywhere along Main Street. 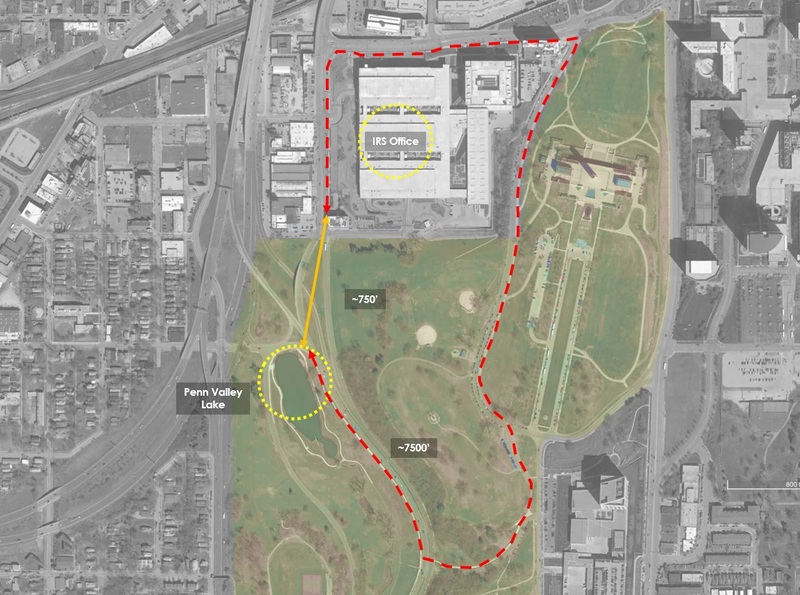 To walk to Liberty Memorial along an existing pedestrian path, a Crown Center resident has to walk east through the Crown Center to Grand Boulevard, and circle around via Pershing at a distance of 3500 feet. To find an accessible path without stairs, the distance is about 4000 feet, or roughly ten times the actual distance. At that distance, Beacon Hill is a shorter walk than Liberty Memorial. With no sidewalk or crosswalk on Main Street, Crown Center residents must take a path nearly nine times the actual distance to reach Liberty Memorial. A path without stairs is even longer. 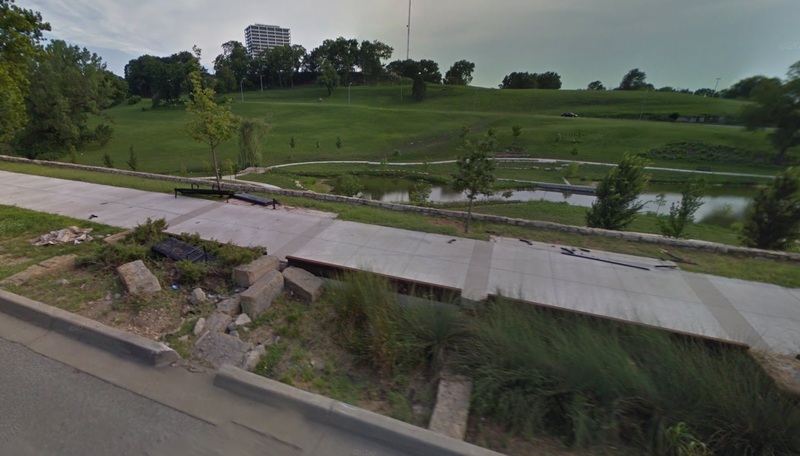 To the west, Kansas City’s Parks and Recreation department has recently made major investments in sidewalks, landscaping, and other improvements around Penn Valley Lake. Unfortunately, the lake is mostly inaccessible to its nearest neighbors. At a distance of about 750 feet, the IRS office is one of the closest users to the lake. But highway ramps and the speeding cars on Broadway stand in between the lake and these nearby potential users. Despite being only 700 feet away, IRS office users must travel an absurd 1.5 miles to reach Penn Valley lake on existing pedestrian paths. The shortest existing walking path between the IRS and the lake is approximately 7500 feet, roughly ten times the actual distance. At that distance, the lake might as well be located at 18th and Vine, or in Armourdale. When the actual walkable distance between the park and adjacent uses is considered, it’s no surprise that the Park functions as it does. It is simply a distant destination for even its closest neighbors. Penn Valley Lake could be located at 18th and Vine or Armourdale, Kansas and the walkable distance from the IRS office would be similar. Residents in the Crossroads, Westside, and Midtown areas face similar challenges. Even residents whose front doors face the Park are remarkably separated from the amenities across the street. For those whose homes face Penn Valley Lake, one option to access the lake is to travel south in the opposite direction to a pedestrian bridge over Southwest Trafficway. This pedestrian bridge is stairs-only, so it is not accessible to all, but even for those who can use it, the path routes further south all the way to the southern boundary of the park at 31st Street before a path reconnects north once more to the lake. Alternatively, these residents can backtrack three blocks through the neighborhood, cross under I-35, travel through the Westside, and then cross under I-35 again. This route eventually requires traversing a highway onramp as well on the final leg. Southwest Trafficway and I-35 harm both the park and adjacent neighborhoods by separating park amenities from potential users. Finally, there is an overgrown and crumbling sidewalk that leads to dark highway underpass that is out of sight from everywhere. Again, an amenity that is 500 feet away is functionally distant by nearly a mile. Welcome to Penn Valley Park. Pedestrian access to the park lies somewhere under that highway. Once inside the park, connectivity is equally challenging. Attractions and destinations in close proximity are functionally very far apart by foot. This is partly because of the topography of the park. Certainly some of the meandering is a feature, highlighting the natural landscape, revealing hidden refuges and panoramic vistas. However, many of the connectivity challenges in the park are the result of an inadequate pedestrian network within the park, and the deeply scarring barrier that is Broadway Boulevard, which essentially divides the park in two. Commuters use the park as a cut through, and highway travelers continue at highway speeds until they exit the park. Within the park, destinations are poorly linked. Users travel to different destinations, but it is extremely difficult to experience the park as a whole. A variety of improvements, both minor and major, can help make it easier to get to and around Penn Valley Park. Addressing these major accessibility challenges can help to reconnect the park to its Downtown neighbors and to unlock its full potential as a signature urban park destination. The following recommendations are ordered from small and simple to large and transformative. Each idea can build upon the others to create a cumulative benefit for the park and its surroundings. Today it is very difficult to get from the Crossroads to the western half of Penn Valley Park. However, there is a twelve foot shoulder along the west side of Broadway that provides more than enough room for a sidewalk. The challenge is determining where that sidewalk goes when it reaches the tangle of highway ramps near the park. 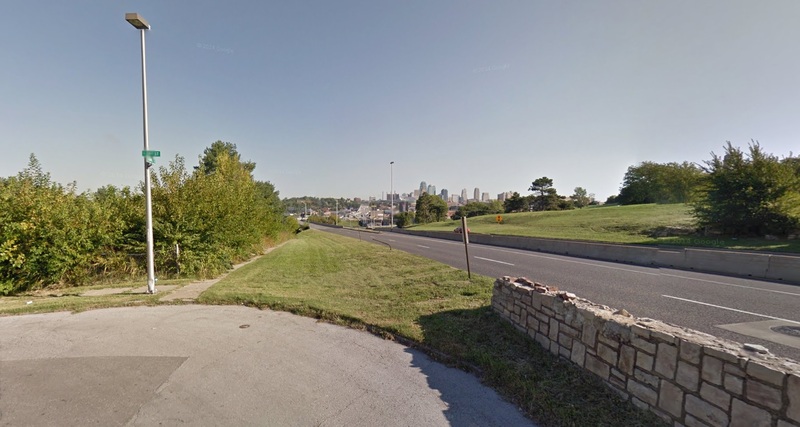 While there are good examples in other cities and even in Downtown Kansas City of safe crossings of highway on-ramps, the Parks Department has expressed concern about pedestrians crossing any of the ramps in Penn Valley Park. 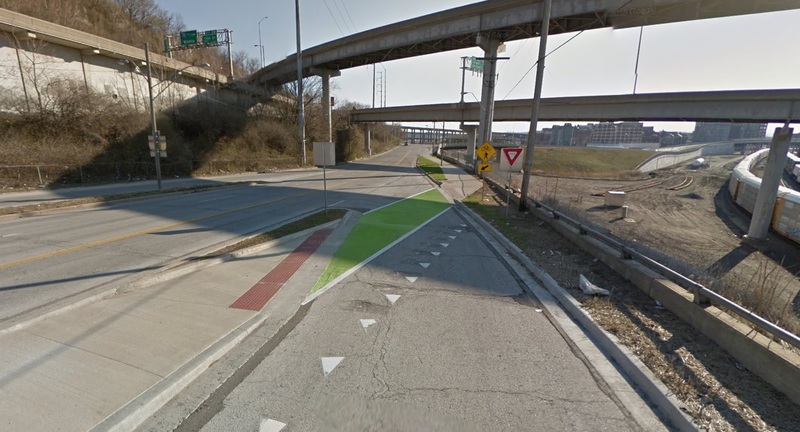 Beardsley Road in the West Bottoms is proof that the City is willing to cross highway ramps to achieve critical bicycle and pedestrian connections. A simple solution that would provide a critical pedestrian connection is to place stop signs and crosswalks at the end of the I-35 deceleration ramp, and on 28th street. In this way it is possible to connect the Crossroads to Penn Valley without requiring pedestrians to cross any accelerating traffic. With this improvement, crossing Broadway is not required at all. This low cost solution also provides an additional benefit. It requires highway traffic to stop before entering Broadway. Today, the gentle curves and long ramps launch cars onto Broadway at highway speeds. The danger is more than hypothetical. Many of the brand new walls and benches along Penn Valley Lake show the consequences of stray drivers, making this recreational amenity one of the most dangerous places to sit in the City. Stop signs and crosswalks can improve connectivity while also making park amenities safer and more comfortable. Speeding cars make Penn Valley Lake one of the more dangerous places to sit on a bench. Nearby, a simple sidewalk connection can provide safer, shorter crossing for park visitors from the west. Currently, the sidewalk on the south side of 27th Street ends at a ramp that directs pedestrians directly into a 120 foot unmarked crossing precisely where cars are beginning to accelerate onto I-35. By extending the sidewalk around the west side of Penn Drive, the crossing can be reduced to 30 feet, and avoid the I-35 ramps. This sidewalk directs pedestrians directly into a highway on-ramp on the way to some distant refuge. Broadway is a major barrier that divides the park but that barrier is amplified because there is no sidewalk connection on the east side of the street. A sidewalk connection on the east side of the Broadway would both connect the Crossroads, IRS, and other areas to Penn Valley Park and also link to the existing crossing at 29th Street. A sidewalk on the east side of Broadway would also help to tie together the east and west halves of the park. 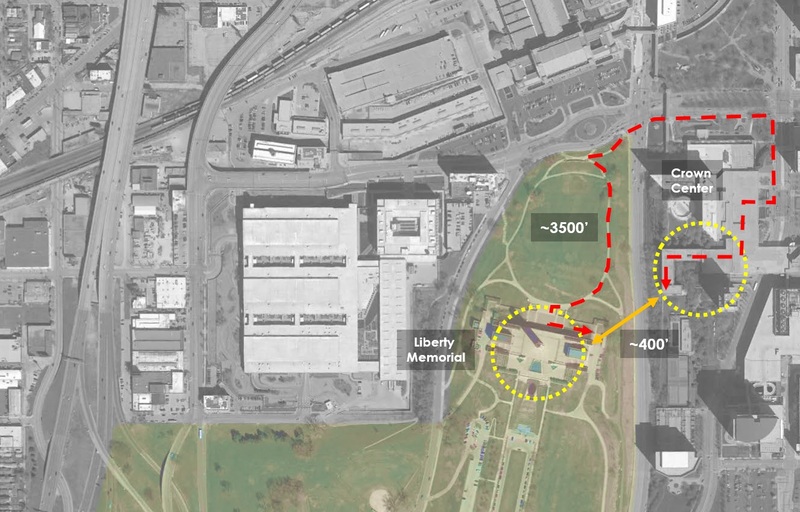 Today there is a sidewalk from Union Station and Liberty Memorial that dead-ends in a field behind the IRS building. Connecting this path to a sidewalk on the east side of Broadway would make it much easier to walk between destinations within the park. A sidewalk on the east side of Broadway can do a lot to improve accessibility without requiring any new street crossings. From its very conception, Broadway Boulevard through Penn Valley Park was always designed as two separate roadways in parallel. 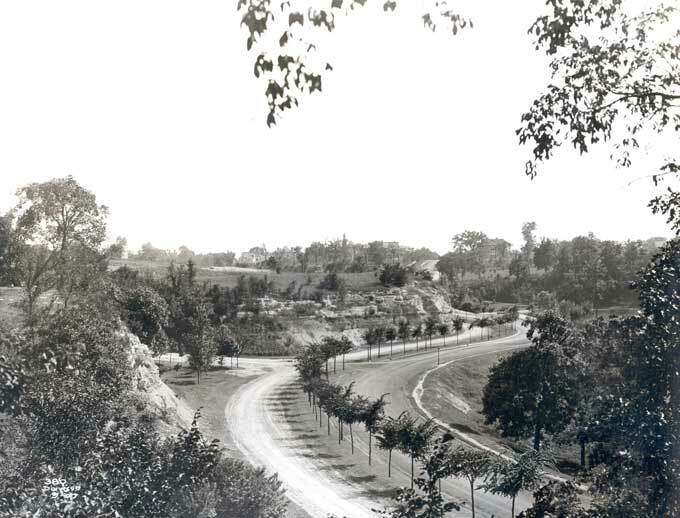 Kessler designed Broadway to wind around the topography of the park, accommodating slower local traffic on one side of the median and heavier through traffic on the other. That initial vision and historic legacy can be restored in Penn Valley Park by transforming Broadway from a barrier to a spine of connectivity through the park. Relocating all automobile traffic to the east side of Broadway’s existing median will calm traffic and eliminate high-speed, highway-like conditions through the park. With no stops, no driveways, and only three cross streets within the park, the eastern half of Broadway has the capacity to accommodate through traffic needs, particularly if unintended and undesired commuter cut-through routes through the park are eliminated. With this concept, 27th Street and Broadway could be reconfigured as a proper intersection, improving safety and traffic operations. The existing off-ramp from Broadway to Penn Valley Drive could be removed and replaced with two way access where the current Penn Valley Drive on-ramp exists. By relocating traffic, the western half of Broadway Boulevard can be transformed into a bicycle and pedestrian promenade. Because of how existing roads are configured in the park, an uninterrupted and conflict-free promenade can tie the park together between 31st Street and 27th Street while maintaining automobile access to all areas of the park from all existing entrances. With this move, the largest barrier to connectivity within Penn Valley Park becomes a lynchpin connector tying the park together. The impact of this modification also extends beyond the boundaries of the park itself. 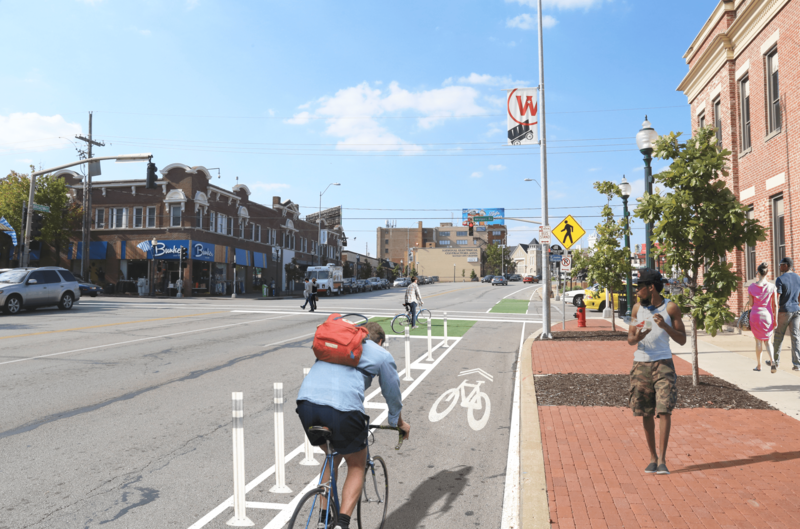 BikewalkKC and community advocates are working to transform all of Broadway into a more pedestrian and bicycle-friendly corridor, including the proposal of new bike lanes. A bicycle and pedestrian promenade would both support the mobility functions of a refashioned Broadway Boulevard and also provide a signature recreation destination to support and encourage greater multimodal use. A bicycle and pedestrian promenade would be a magnet for activity – Penn Valley Park’s scarcest asset – and the showpiece of the entire boulevard system. 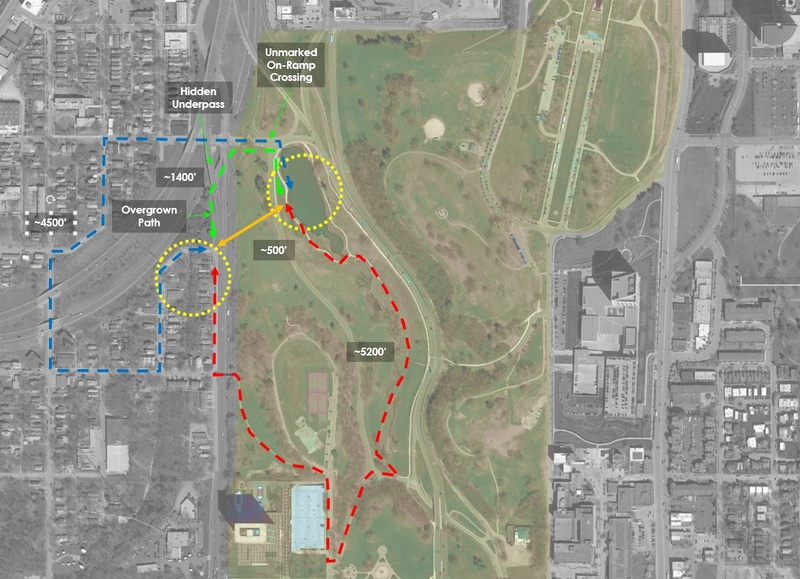 Better connecting Penn Valley Park to its existing neighbors is one important strategy to encourage greater use of the park. Supporting new uses and activities around the park edges can be equally beneficial. At the northwest corner of Penn Valley Park, there are six acres of contiguous ground that border the park on the south and east. Today, this ground does nothing but host three superfluous and poorly designed highway ramps. This area is unique because it is on the park side of I-35 and Southwest Trafficway with easy access to park amenities. 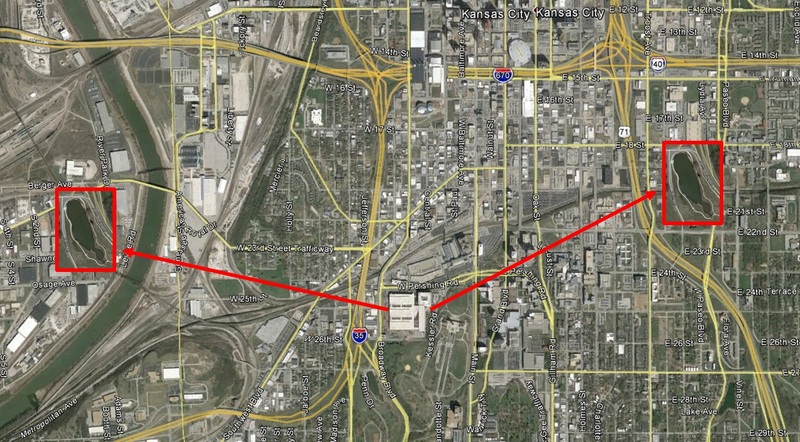 It also directly connects the park to the Crossroads Arts District to the north. Perhaps the most impactful intervention to transform how Penn Valley Park is used and perceived is to place a high density of potential users at its front door. Removing three highway ramps sounds daunting, but because there is so much redundant access in this area, removal of these ramps has minimal impact on drivers accessing area destinations. Northbound and southbound access to Southwest Trafficway and northbound access to I-35 can be provided at 27th Street and Summit Street, immediately west of the removed ramps. There is no southbound access to I-35 today. The current ramp configuration allows drivers who access I-35 at 20th Street to loop around to head northbound, but northbound I-35 can be accessed at Truman or 12th Street with the same amount of driving from 20th Street. The only traffic movement that would be lost by removing the ramps is southbound I-35 traffic desiring to access Broadway specifically between 27th and 31st Streets. The only destination between 27th Street and 31st Street is the park itself, except for drivers who use the park as a cut-through route to Crown Center, Federal Reserve, and adjacent destinations. 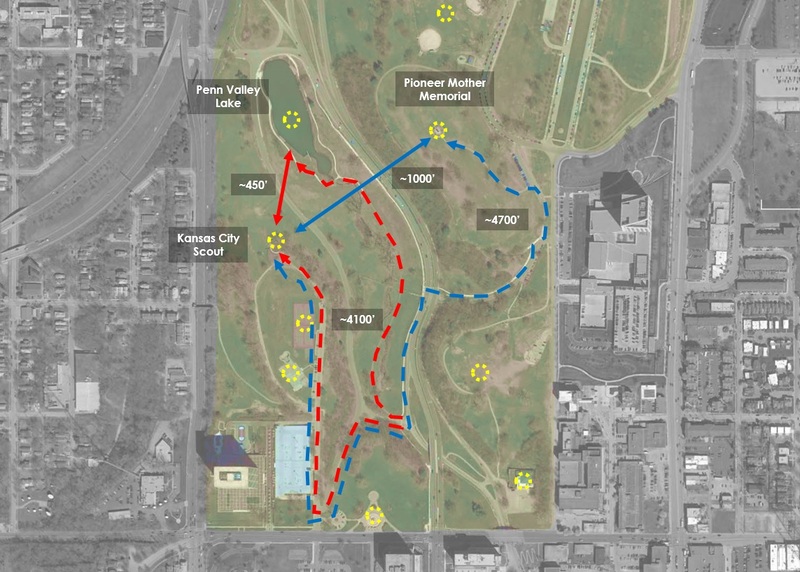 Penn Valley Park was never designed as a highway access cut-through, and the removal of this traffic movement would dramatically improve the safety, comfort, and usability of the park. Additional traffic modifications could coordinate with ramp removal, including allowing left turns at Southwest Trafficway and 31st Street, which would enable southbound access to Broadway Boulevard, access to Penn Valley Community College, and calm speeding traffic on Southwest Trafficway. Removing the ramps would benefit I-35 operations as well. 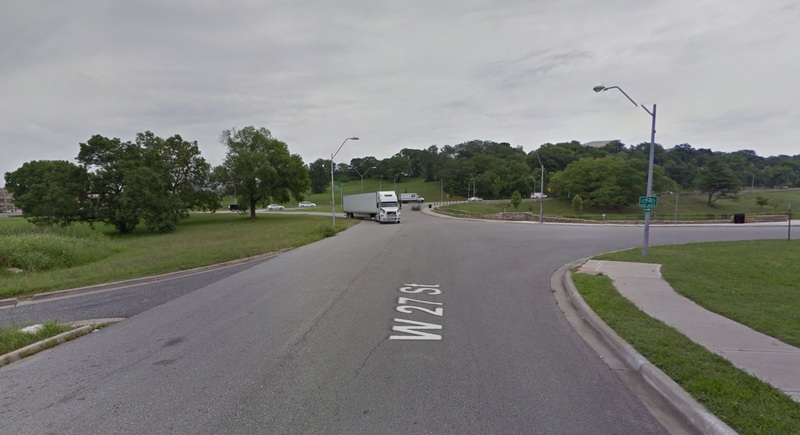 Today the spacing of interchanges is too close in this area, and does not comply with MoDOT standards. Removing the ramps would also allow Broadway Boulevard and 27th Street to function as a more traditional intersection, with access and safety benefit for pedestrians. Benefits from removing extra highway ramps includes opening a large new parcel for development, with an economic return for the city. The underutilized Penn Valley Park gets nearly 1,000 feet of new active, park-facing frontage with hundreds or thousands of potential new users. Many of the traffic speed and safety issues in the park are reduced by removing the undesired commuter cut-through traffic. Finally, new development help to directly connect the urban activity of the Crossroads to the amenities within Penn Valley Park. In coordination with a re-imagined bicycle and pedestrian promenade on Broadway, and other critical pedestrian connections, these improvements can help Penn Valley Park reach its potential as one the nation’s great urban parks. There was an opportunity to add bike lanes when Parks rebuilt Broadway through the park. Parks wanted to do it but KCMO’s Bike/Ped Coordinator told Parks not to do it. So true! I love Penn Valley park. I walk to it several days a week from my office in Crown Center, but can never get to the other side of Broadway. Great innovative ideas with development potential that preserve the view could draw the money required to really get this park fully utilized.